PezCycling News - What's Cool In Road Cycling : Ever Wondered Why the Col de Turini May be One of the Best Roads in the world? 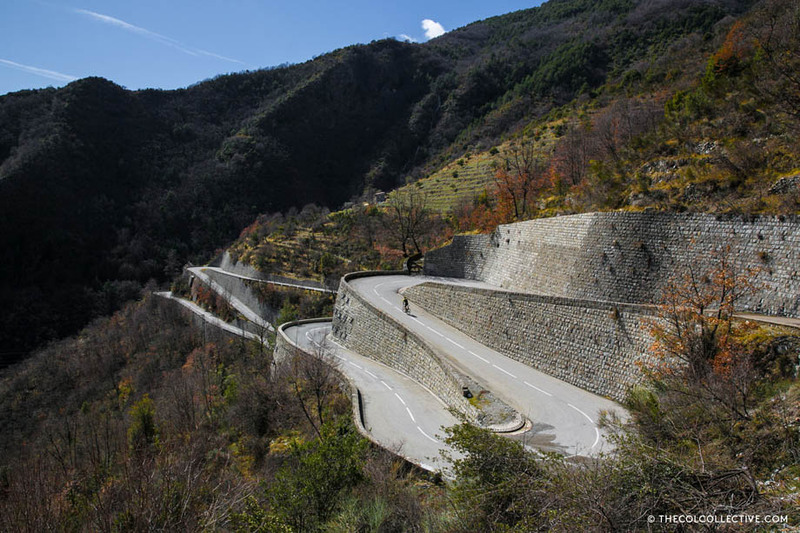 Rising 1,607 metres above the Mediterranean, the Col de Turini may not be the highest pass in the Alpes-Maritimes but at 24.3 kilometres in length, starting from Sospel, it's a climb that definitely needs to be ridden with respect. Gaining 1,268 metres in elevation is more than the mighty Galibier from Valloire, so having this in mind certainly helps to keep the legs in check and the pace under control as the road starts to rise. Its sinuous switchbacks, made famous by the Monte Carlo Rally, are a true delight as you ascend, almost anonymously, through the Gorges du Piaon against a backdrop of craggy rock faces and waterfalls. Take your time the gradient is more forgiving over the first half of the climb so there's absolutely no reason not to enjoy the wonders of nature. If you need to recover and refill bottles then the village of Moulinet, coming at mid distance, is a good spot. From here on the road starts to feel even more remote and the gradient becomes more consistent, averaging a solid 7.6% for the final 5 kilometres. Hold your nerve, believe in yourself and the Turini will make you smile long after you reach the summit. What a legend! I very much hope you enjoy our video from the Turini. If the thought of these peaks is just too much, then why not join us for one of our cycling tours in the French Pyrénées, Dolomites and Italian Alps. For more details visit http://thecolcollective.com/cycling-tours.